Traditionally a drop veil is pinned onto your hair but we want your veil to be secure and recommend that some attachment is sewn onto your veil. 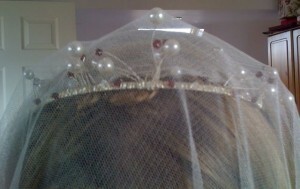 We can attach a comb to the veil with only a few stitches to hold the comb in place. Drop Veil comb no gathering We can attach a comb to the veil with gathering stitches. 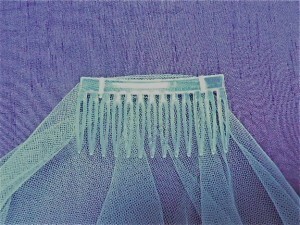 We can attach a comb to the veil with gathering stitches. This means that the oval shape of the veil will be slightly drawn in and the front blusher section will be slightly shorter. 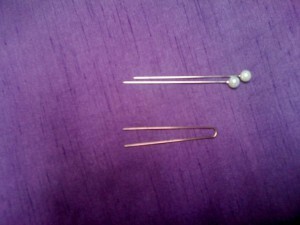 If you choose to attach your veil with hat pins, first select where you would like to place your veil. 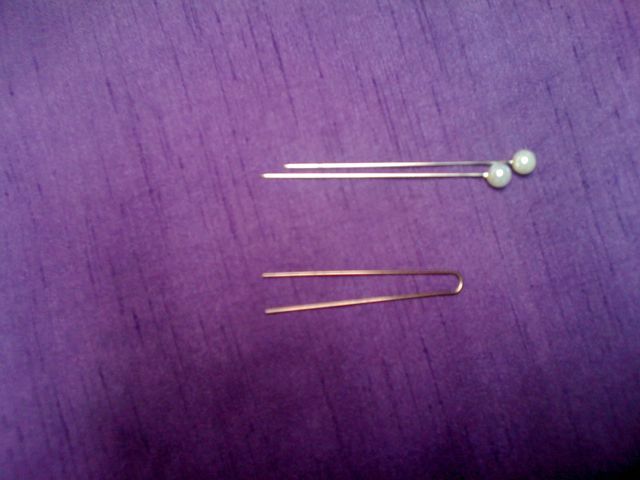 Then weave the pin through the fabric and your hair. 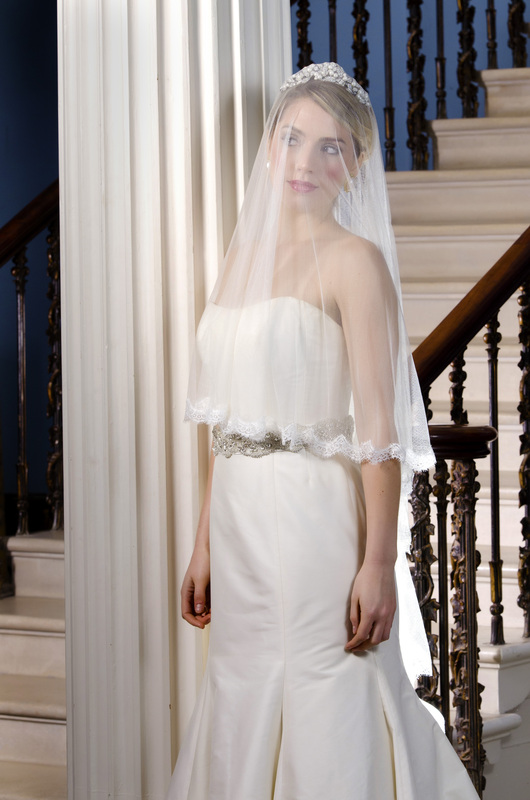 When you lift back the front blusher section of your veil will lie flat. If you choose to attach your veil with straight hairpins, first place your veil where you would like to wear it with both layers behind your head. 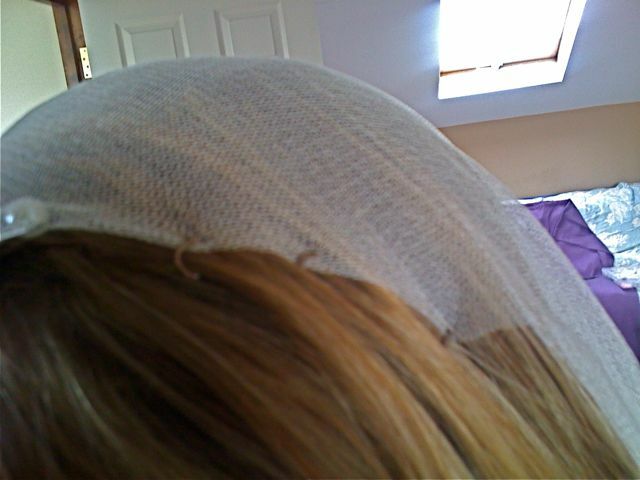 Then place the pin through one layer of the veil edge and then your hair. Repeat this pattern across the edge of the fabric. If you are wearing a Tiara with a drop veil I believe that it is best to have a comb attached with no gather and then eaten the front edge of the veil with the spright hairpins. You can have your veil send to your Tiara but then you cannot wear you Tiara alone in the evening. 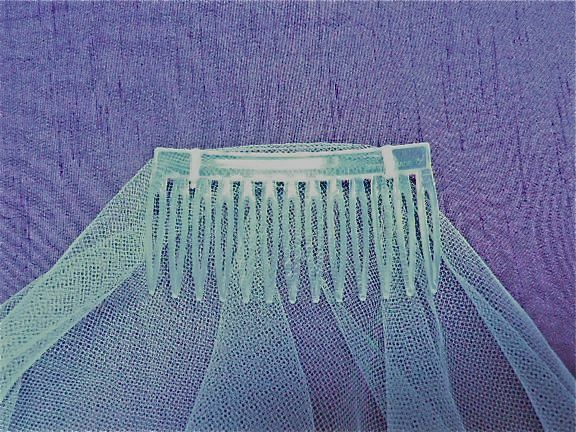 Image illustrated below are of a silk tulle veil and they show how to attach your drop veil with out a gap between the Tiara and Veil. 1. Place your veil where you would like to wear it with both layers behind your head. Push the comb into your hair. 2. 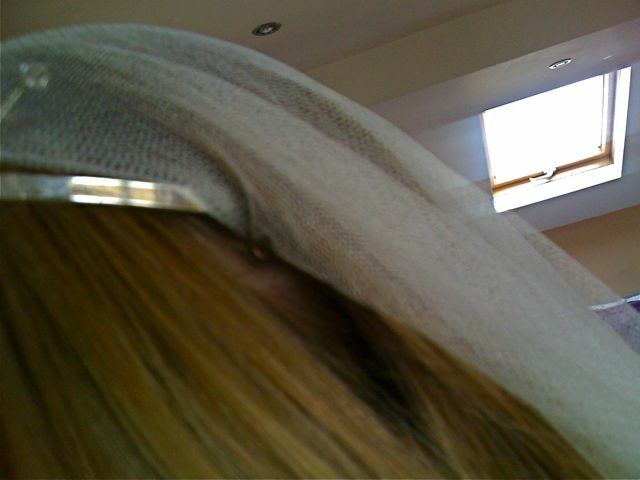 Push the pin gently through one layer of the veil edge and then through your hair. Attach a row of pins across the width of the veil. 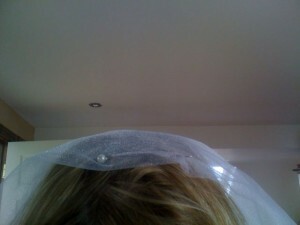 3.With both layers behind your head place the Tiara tight against the secured edge of the veil. 4. Then attach your pins to the edge of the tiara and through the fabric in the same way as above. 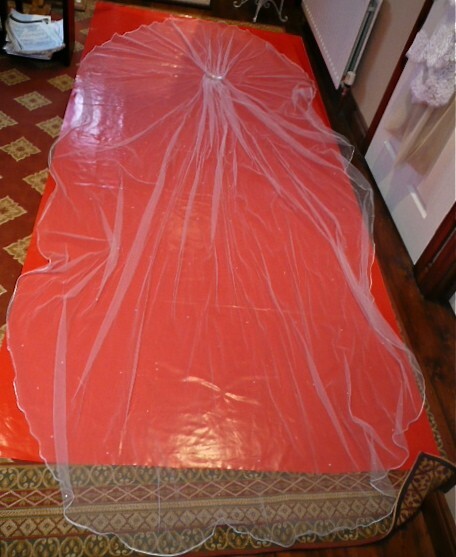 This approach means that you will have no gap between the tiara and the veil and it will also allow you to take off your veil and leave your Tiara in place for the reception.